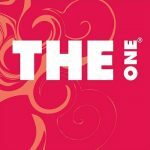 Enjoy up to 75% off at THE One, FUSION by THE One and THE One Junior Part Sale until 1st May 2019. Check out the part sale now on at Western Furniture offering 25% to 75% off on its range of furniture and home accents. For more information call 04 3377152. Home Box 2019 Ramadan Catalog Check out the Ramadan Special prices on cutlery, dinnerware, furniture, furnishings and more. View catalog for more details. Celebrate Dubai Home Festival Sale at Hadi Zabeel Showroom in Karama from 18th April to 1st May, 25% – 75% off on all your Home Essentials. Call 04 3369530 for more info. … see more..
Shop at Home centre stores across Dubai for Ramadan and avail 25% to 70% off on furniture, home decor & accessories, cookware and table top, kids collections, outdoor furniture & home office … see more..